The Taj Mahal is mausoleum built by the Mughal emperor Shah Jahan for his wife Mumtaz who passed away after the birth of a child. Built during 1632- 1653 AD it is known to serve as a monument that reflects the love the emperor had for his wife. 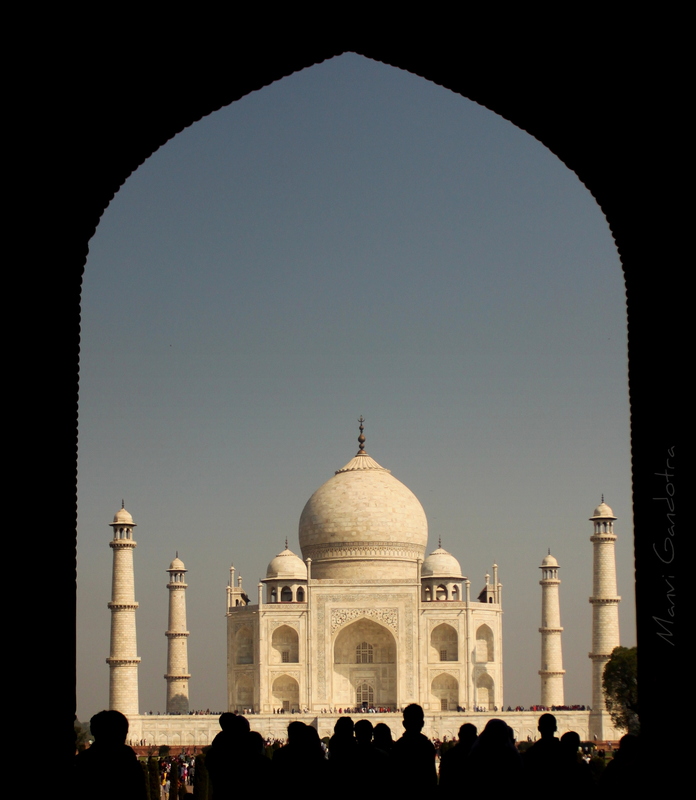 i like the fact you did really nice silhouette of people and the gateway making a really interesting frame for the Taj Mahal. Cheers.